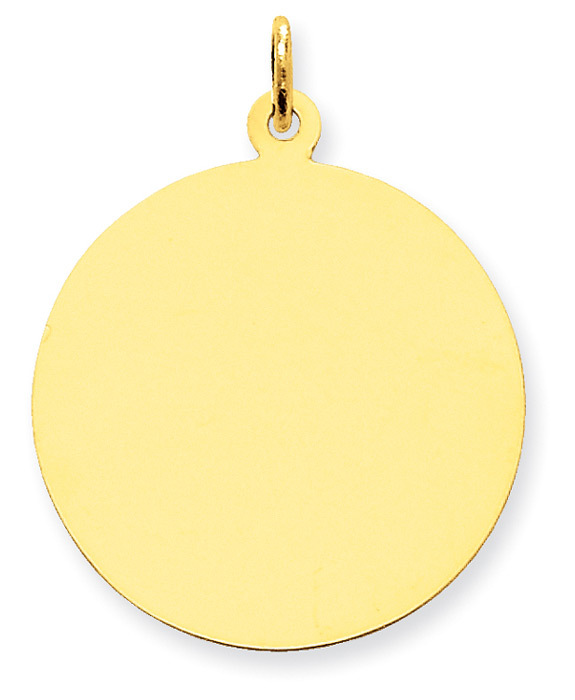 A solid 14k yellow gold 1 inch engravable disc charm pendant, made in the U.S.A.! Measures 1" in diameter or approx. 1 5/16" tall with hoop/bale. This pendant is engravable on both sides. We guarantee our 1 Inch Engravable Disc Charm Pendant, 14K Gold to be high quality, authentic jewelry, as described above.